Jetco consists of five separate operating companies: Jetco Delivery, Jetco Heavy Haul, Jetco Logistics, Jetco DFW, Jetco Warehousing. Jetco Delivery, Jetco Heavy Haul and Jetco DFW operate their own fleets of trucks and trailers and have dedicated employees and owner operators. We provide customized delivery solutions with a focus on Texas, the Gulf Coast region and surrounding states. Our diverse fleet of vehicles and trailers allows us to offer a wide range of options to you. Jetco Logistics, our freight brokerage company, arranges premier service utilizing third-party carriers. Using pre-qualified, third-party carriers, we find the right match for your load – on schedule and at the right cost. We know the optimum lanes for our third-party carriers. Jetco Logistics utilizes cutting-edge technology to ensure the visibility of your loads traveling on third-party trucks. Jetco Warehousing offers you the space you need to store your equipment. With 24-hour on-site security, we can accommodate your warehousing needs while also providing the transportation to and from our yard. 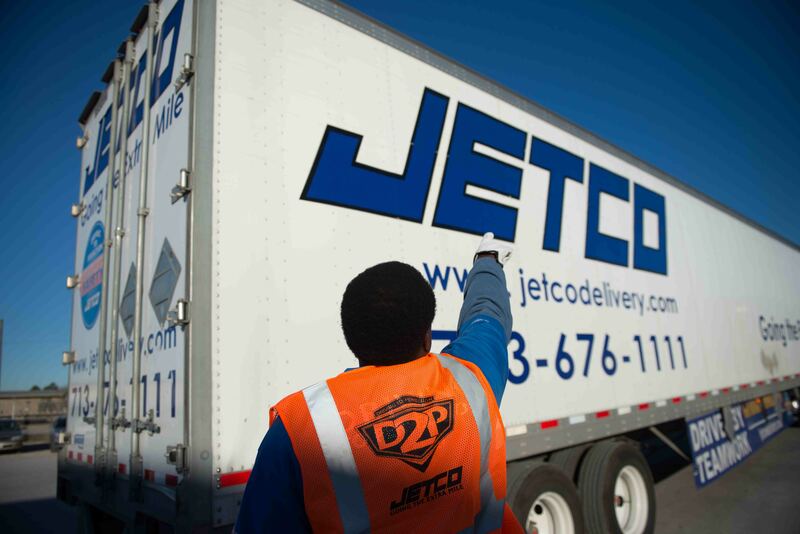 Jetco Delivery performs all billing and administrative functions for all of our companies.